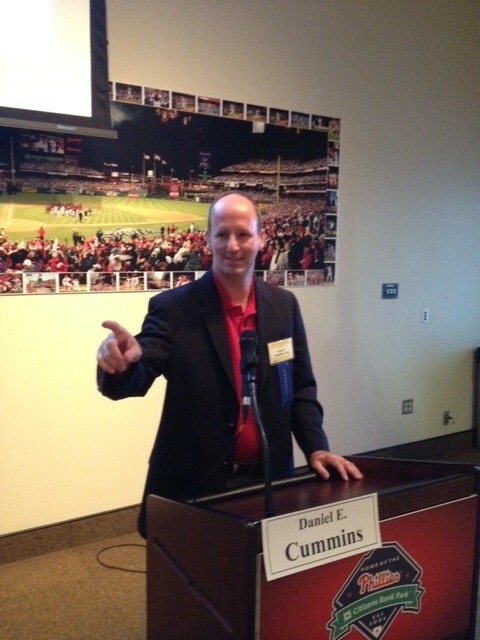 Yesterday, I presented at a "CLE with the Phillies" at Citizens Bank Park in Philadelphia. 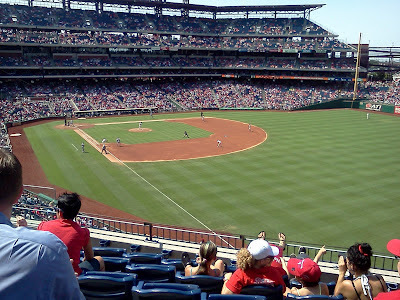 The facilities were nice as we were in medium-sized banquet room with the walls lined with pictures of favorite Phillies and a very large picture of the Phillies at the moment they were celebrating their 2008 World Series victory. Concession stand food and beer and soda was served during the hour-long seminar. I presented a quick Civil Litigation Update, covering recent Post-Koken automobile litigation cases, a review of the split of authority on Facebook discovery, and some Pennsylvania Supreme Court cases to keep an eye out for. I then presented my article "Little League Tips for Big League Lawyers" in which I applied Little League coaching tips ("Keep your eye on the ball," "Hustle," etc.) to the practice of law. Anyone desiring a copy of my Civil Litigation Update and/or a copy of the article, may click this LINK for online access to the written materials from yesterday's program. 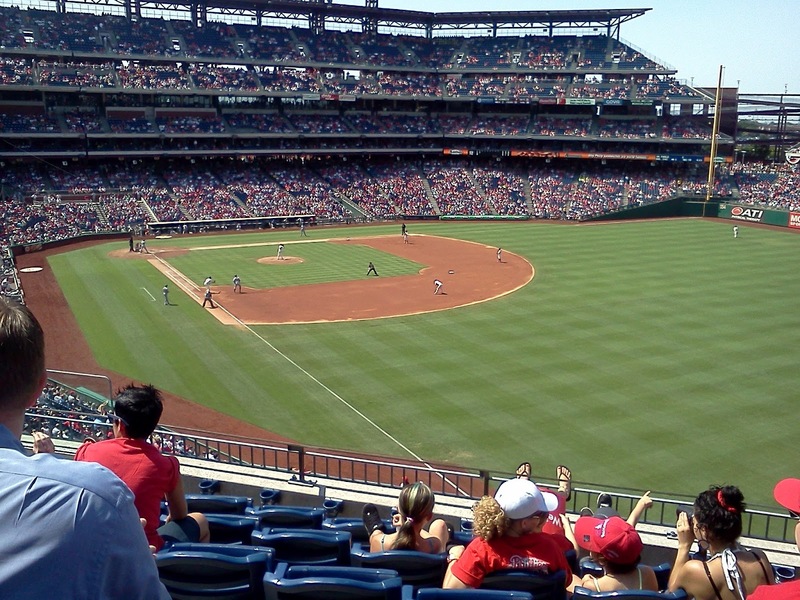 After what I hope was a seemingly quick and painless CLE hour for the attendees, we all headed off and enjoyed a beautiful, sunny 3-2 victory by the Fightin' Phils over the Mets. The PBI plans to do these CLEs at the Philles, and possibly CLEs at the Pirates, next year. It's a great way to pick up a CLE credit and enjoy a day out of the office. I thank the Tara Phoenix and the PBI for allowing me to present at yesterday's game. I also thank J.P. Cardoni of EXHIBIT A for assisting with the powerpoint preparation and playback for the seminar. I highly recommend EXHIBIT A, which has offices in Philadelphia and in Northeastern Pennsylvania, for all your video deposition and digital trial presentation needs. Their website and contact info can be reached at www.exhibitadigital.com. Thanks also--very much--to those who attended the seminar--I appreciate you making the trip.